As a scientist and educator in the 21st century, it’s difficult to overstate the role that Carl Sagan played in shaping my worldview. When I traveled to Ithaca, NY for the first time this week (for a chemistry conference, naturally), I wasn’t planning on any kind of specific pilgrimage. 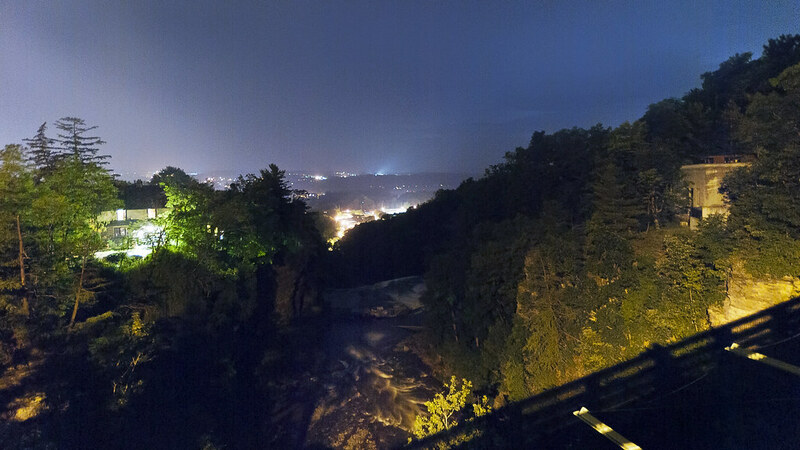 Nonetheless, I found myself standing on a tall bridge above a gorge, watching the lights of Ithaca and the flashes of lightning in the distant clouds. I didn’t have my normal Nikon with me. I didn’t have my tripod with me. I made do. How often do you get to photograph lightning over Carl Sagan’s house?